Did you know that the very wealthy educate their children to handle money? They have MoneyIQ. This protects their inheritance and their wealth. Now, you can do the same thing: Get Your MoneyIQ. Teach your children what they need to know about money. It’s easy, fun & portable. The Money Bunny for Youth™ is for people of all ages who want to learn good financial management. It’s a logical, page-by-page mini-class that can be used by adults teaching their children, adolescents learning on their own, or adults who want to review the basics in a convenient and enjoyable way. Fun stuff! Easy learning with a bright visual appeal. Do My Kids Really Need This? 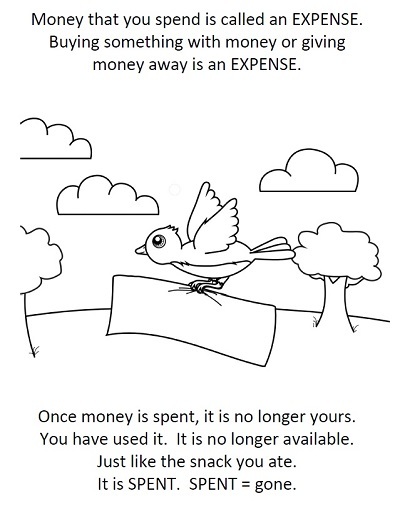 One internal page of the money bunny activity book. Introducing good money principals to your young people helps them develop in a key area of life. The Money Bunny for Youth™ ACTIVITY Book can give your youth a “leg up” thereby preventing mistakes. You can do it. 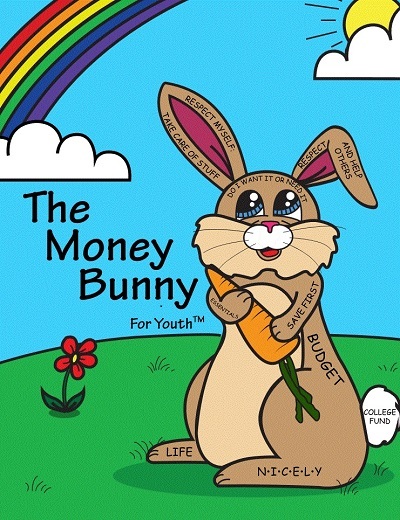 The Money Bunny for Youth™ ACTIVITY Book takes you from basic concepts to budget creation. It is applicable to most ages. I want to thank my illustrator who made my money bunny into an adorable character. She did a great job! Hello and thanks Miss Randi. Take charge of your information and education. You will be glad you did. Where Can I Get Help Teaching the The Money Bunny For Youth™ ACTIVITY Book Concepts? If you need help teaching the concepts, or you want a large quantity of The Money Bunny for Youth™ ACTIVITY Book for your group, Email me. You’ll feel better knowing your young people are on their way to Financial Success and that they’re doing pleasurable activities to get there. Once they have finished the activity book, they’ll be ready to manage a bit of their own money. The practice of trusting your youth with money will prove itself valuable when you start small and increase their financial responsibilities over time. It’s so much fun to see them counting, saving, and budgeting knowing that YOU have taught them one of life’s most pressing lessons. You can do this. You know you can. 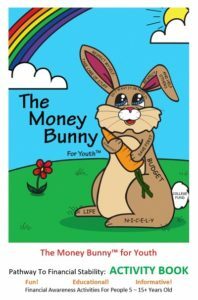 The Money Bunny for Youth ACTIVITY Book is the workbook for The Forget You Program™. It’s for people of all ages who want to learn basic money management with activities that are fun and useful!